The healthiest diet includes a plentiful variety of fresh, whole fruits. The reductionist, food-as-a-wonder-drug mentality would seek out juice or concentrates of the “superfood” fruits — goji berries, and so on. Focusing on the totality of diet and lifestyle is more important to health than a fixation on specific superfoods as cure-alls. In general, however, it’s important to get plenty of dark-skinned or dark-juice fruits in the diet, including grapes, blueberries, black cherries, black plums and cranberries. Those dark skins are loaded with health-providing antioxidants. That advice is simple enough. But left out of the equation is one fruit that merits a special place in the Spartan Diet: The pomegranate. 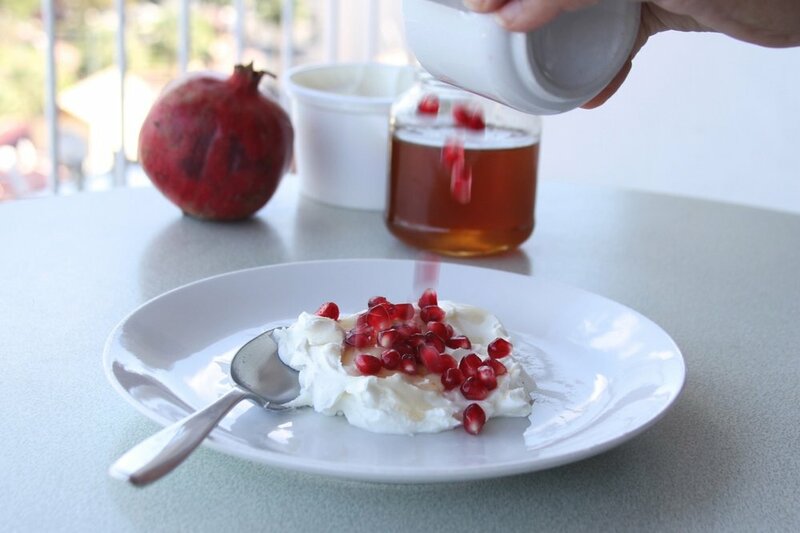 Pomegranates should be included into an extremely varied diet because they offer a very high concentration of antioxidants, vitamin C and other vitamins. One fact we’ve noticed about the nexus between food, history and health is that, without exception, the foods that have been in the human diet the longest and which are still part of our diet tend to be the healthiest. These super ancient but still consumed foods include raw honey, olive oil and, yes, pomegranates. The trouble is that Americans are a little unsure about what to do about pomegranates. But that’s no reason to avoid them. Instead of easy-to-eat fruits like bananas and oranges, which you simply peel and eat, pomegranates are hard to open, and filled with seeds, each of which is surrounded by a small “container” of juice. Years ago, there was a craze in pomegranate juice because UCLA scientists proclaimed that pomegranate juice was the healthiest of all juices. A great number of health-minded people went out and bought off-the-shelf pomegranate juice as the latest life-extending elixir. 1. As is often the case, foods are discussed as "drugs" that help fight various diseases and other health problems. In fact, it's not natural, ancient foods that cure or prevent diseases, but the absence of those foods that cause disease and other health problems. Our bodies expect and need them in order to function properly. 2. Why juice? The Spartan Diet calls for drinking only water and fermented beverages and not drinking juice. The healthiest and best and most Spartan way to consume pomegranates and all fruits is to eat them whole and raw. Organic is best. What's funny is that the researchers arbitrarily focused on juice -- a product made from the fruit rather than the fruit itself -- then warned people not to drink too much juice because of its concentrated amounts of sugar and high calories. And they don't warn against "dead foods" (fruit or juice in cans or bottles) or praise "live" foods, such as fresh fruits. 3. They focus on the anti-oxidant part of the fruit, and ignore the many other qualities, including vitamins, fiber and the rest. Again, it's not a drug. It's a food, which should be eaten for all its health benefits, not just the ones scientists have decided are the important ones. The way to consume pomegranates is to cut them open and eat the seeds in their entirety. Here’s how to cut open a pomegranate. You can also sprinkle them on yogurt. It doesn’t matter. The important thing is to include pomegranates in your diet, and eat the seeds whole, raw and fresh.